What's the Best Dog House? Reviews | Keep Your Dog Warm & Safe. You are here: Home / Best Dog House / What’s the Best Dog House? Reviews | Keep Your Dog Warm & Safe. What’s the Best Dog House? Reviews | Keep Your Dog Warm & Safe. Deciding upon the Best Dog House can be more challenging than you think. Every dog has a unique personality and unfortunately you can’t ask your dog ahead of time which dog house he or she wants. So, it’s up to you to choose the best dog house for your canine. We hope you’ll find this article useful to help you make a decision you won’t regret. You have to look at dog house from the perspective of your dog. It’s not for you. Will you dog be happy in this dog house? That’s the question you need to ask yourself. I’ve always been very much a cat person, but growing up in a large family we always had a lot of pets – many of them dogs. When I think back, there’s one dog that stands out and I have many beautiful memories of him. Until now, more than 30 years later I still think of Butch, a frisky Staffordshire-Terrier, with great fondness. Butch arrived on our doorstep one day, in very bad shape. My brother, five years older than me, persuaded my parents to keep him and he became my brother’s beloved pet. Though, as the years passed and my brother went into his teens, his interest in Butch faded as he spent less time at home – as teenagers often do. I was about ten at the time and Butch decided to adopt me as his new human. He became a loyal and loving friend – like few I’ve ever known. We lived in a brand new suburb on the edge of the city limits. This meant that we were surrounded by open fields with countless foot trails crisscrossing the area. This was a fantastic wonderland for my friends and I do go on voyages of discovery, riding our bikes all weekend long, in search of adventure. Butch would always come along, his head positioned right next to the front wheel of my bike – always checking that he kept his pace. No matter how fast I peddled, Butch would be right there – never wavering. On many occasions, he would spot a snake and dart off to take it on. I think he might have saved us from serious harm many times, by doing this. Despite being nearly blinded by the venom in eyes on several occasions, he always pulled through and was ready for our next adventure at any time. My parents never had much time for animals. I think they just got the pets to keep us kids from nagging. This meant that Butch was never allowed in the house and didn’t have a dog house of his own. It always troubled that at night, when my cat Reg would snuggle up warmly in my bed, my faithful friend Butch was left out in the cold. So I decided to build Butch a dog house. With very little skill and no experience, I set about the task with much enthusiasm. Because we lived in a new suburb, there were plenty of new homes going up and this provided me with a perfect selection of building supplies. I collected wood off-cuts and even some roof tiles and got to work, building my friend a dog house. It was a very crude structure – a lean-to at the back of the garage. I was very proud of my achievement but, try as I may, Butch showed no interest in his new home. Looking back now, I can see why he was not impressed with the dog house that I’d built for him. The roof had no insulation, so the tiles baked in the sun all day, making it unbearably hot. The many gaps in between the wooden slats did nothing to keep it cool during the day, instead, they made the dog house drafty and cold at night. My worst mistake was not building a floor. It had a dirt floor and when it rained, water would collect and turn the floor into a slushy mud pit. So, with all the good intentions in the world, I failed at giving my dog a decent house to shelter him. Today, I would have done a very different job and there are fantastic designs on the web for dog houses. Now not everyone enjoys DIY, so building your own dog house, might not be your thing. This brings me to the actual topic of the article – best dog houses. We’re going to review some fantastic dog houses and later look at how to go about choosing the best house for your beloved best friend. With my childhood experience of what not to do, I can now as an adult, give some good advice on what you should do. Before going into the finer details of dog house construction, let’s take a look at some the best dog houses that are available to you. Best Dog house if you value simplicity. Assemble in under an hour. Protective outdoor dog house. 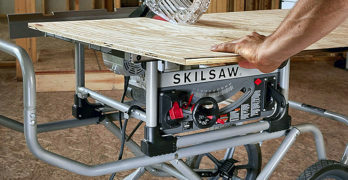 Solid pine construction requires little maintenance with a draft-resistant tongue-and-groove design. Weatherproof sealing inside and out plus an off-center door provides additional protection from the wind and rain. Roof is covered in durable composite shingles and can be propped open using two locking arms for additional ventilation. Removable floor allows for easy cleaning and the adjustable, hard plastic feet level the shelter on uneven ground. The solid pine construction of the Trixie Dog Club House has an organic and very attractive look. It will fit into your garden landscape elegantly. The use of tongue and groove wood sections ensures that it’s weather tight and will keep the cold wind out. The Trixie Dog Club House is extremely durable with a weatherproof coating inside and out. This dog house will not deteriorate easily and will continue to look great for years. The offset door offers a really great place for your dog to curl up away from the draft of the door opening. There’s an optional Trixie Dog Door that you can buy separately and this will provide even better protection from the cold weather if you need it. The raised floor is also great for keeping the dog house cool in summer and warm in winter. The base has adjustable plastic feet so you can level the floor on an uneven surface. A nice feature, that you won’t find on most other dog houses is a removable floor, this makes it really easy to clean. This is a very convenient way to keep your dog house free of odors and keep it hygienic. The roof is covered with composite shingles that provide a good level of insulation. In hot weather, you tilt the roof up and hold it in position with two locking arms. This will give it the ventilation it needs on hot days. The green coloring of the roof enhances its organic look for a more attractive appearance in your garden. The Trixie Dog Club House comes in a range of sizes for medium to small dogs all the way up to extra-large for dogs weighing up to 95 LBS. It’s a great looking dog house that’s designed to keep your furry friend comfortable in all weather and comes with a 1-year warranty. Popular, affordable and ideal for dogs under 70 lbs. One the best and most popular dog houses. 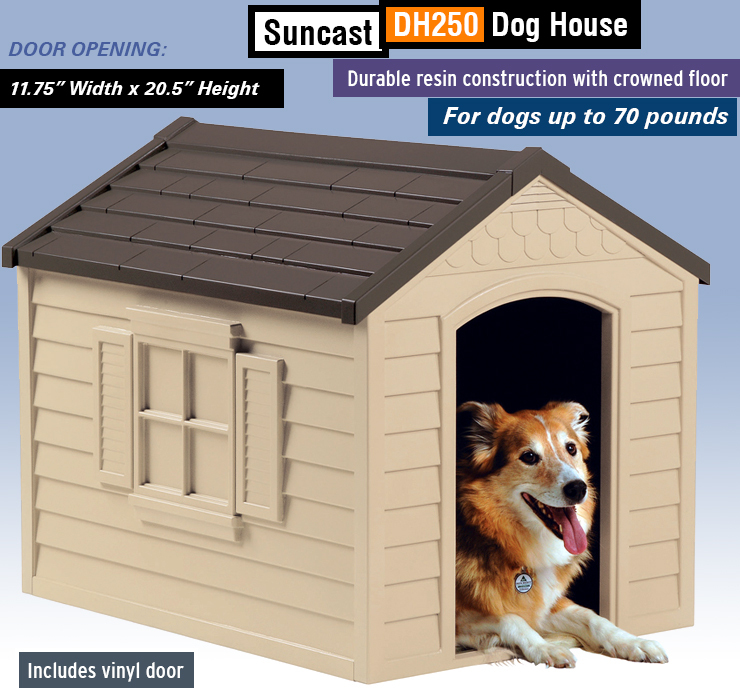 The Suncast DH250 has a classic dog house look. It’s constructed from durable resin, that’s molded to look like a Victorian style home. The design of this dog house is quite attractive and clips together easily without any tools needed. The use of resin makes it quite a lot cheaper than wooden dog houses and it’s also light and easy to construct. The only thing I don’t really like about this material is that it won’t insulate as well as wood, which might be a problem if it stands in the sun – sunlight could also deteriorate the resin. If you place the dog house in the shade, you won’t have much of problem where this is concerned. It has vents for air circulation that will help to keep it cool in summer. It also has a vinyl door that will keep out the cold air in winter. The door opening is 20.5” high and 11.75” wide and is recommended for medium-sized dogs, weighing up to 70 LBS. The crowned floor has a channel along the inside edge to keep it dry and comfortable inside. The roof is also removable, making it really easy to clean. Because this is a very lightweight dog house, it’s easy to move but can also get blown away in strong winds. The guys and girls at Suncast have thought of this and so you’re able to stake it to the ground which will firmly secure the dog house. This is a very affordable dog house and looks like a durable item, though I think less so if it’s exposed to direct sunlight. I don’t see a specific warranty for dog houses on their website, but under the heading sheds and buildings (which seems like the closest description for this product), they state the limited warranty period as being 10 years. If this is the case, that’s a really fantastic warranty – especially since it’s one of the cheapest dog houses of this size we’re reviewing here. Best dog house for larger dogs. Ideal size for larger dogs under about 100 lbs. The Suncast DH350 is basically a larger version of the DH250. It has the same basic design and all the same features, so I won’t waste your time by repeating all of that. This dog house is 33” in width; 38.5” depth and a height of 32”. The door opening is 13.75” wide and 19.5” tall, recommended for dogs up to 100 LBS. You have a small bonus on this dog house that costs a little more than the smaller one. 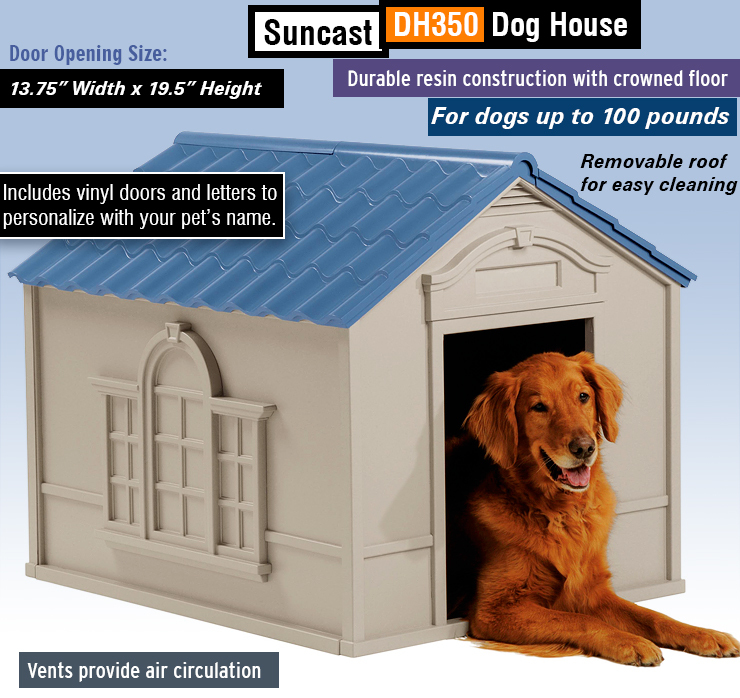 The Suncast DH350 dog house comes with a letter kit so that you can put your dog’s name above the door. This could help if you have several dogs and, assuming they’re literate, they’ll be able to tell which dog house is theirs. Though I’m yet to find a dog that can actually read their name. The Suncast DH350 is a very affordable dog house for larger breeds and should have the same warranty as the smaller DH250 dog house. Unique design makes it able to withstand heavy winds and rain. Sturdy! Doorway is 13.5″ X 12.5″. It is recommended for dogs that are no more than 26 inches in length and 17 inches tall. At first, I surprised by the price of this dog house. At a glance, it looks just another plastic or resin structure and one would think this should make it cheaper than most others. Though after a little investigation, I discovered why this is actually one of the best dog houses for many reasons. What may look like ordinary plastic, is actually an advanced structural foam. It’s a thick material that’s been developed for superior insulation and this is one of the reasons why this is probably the best dog house for cold climates. This material is not only durable but very comfortable too. The igloo design is also better at repelling snow and rain, which will also help keep your dog snug and warm in foul weather. It will also remain very stable when in excessively windy conditions. They’ve used Microban in the construction material, another advanced material, which fights off bacterial growth to prevent odors and provide a much healthier environment for your dog. The wide open covered doorway (17.3” X 17.6” on the extra-large version) gives your dog a perfect spot to while away the hot summer days. It has a curved rear section that will give him or her a warm secluded area for cold weather. A vent in the roof also helps to keep the dog house cooler in summer. The raised floor provides, even more, comfort and protection from the elements and any moisture is channeled away by moats along the edges of the structure. 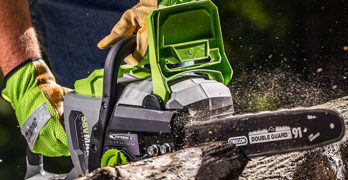 It is made for easy construction and you don’t need any tools to assemble it. For extra comfort, you can also get a durable vinyl pad to provide a soft bed inside the Petmate Indigo and it also has an optional door. It comes in three sizes – medium, large and extra-large for dogs up to 42” in length and 31” tall. This looks like the best dog house for cold climates and is also perfect in hot weather. By using the best modern materials, the guys at Petmate have developed what is, arguably, the most advanced dog house on the planet. Best dog house if you want one that is practical and stylish. Assembles in 3 easy steps with included assembly instructions. The Precision Pet Extreme Log Cabin dog house is very similar to the Trixie dog Club House. It’s also made from wood coated with a durable weather resistant finish. The door is offset, giving your dog protection from wind and driving rain. It has an asphalt roof, which is slightly slanted and this ensures that the dog house is completely waterproof. The roof is black, so it’s probably a good idea not to place the dog house in direct sunlight, the black roof could get quite hot in the sun. It assembles in three easy steps and has adjustable feet so that it will stand level on an uneven surface. The wooden floor that’s raised from the ground prevents moisture from getting into the dog house and helps to regulate the temperature inside. This is a very attractive cedar-look wooden dog house and won’t look out of place in your yard. It comes in three sizes – small medium and large. The largest size will comfortably house a dog of around 90 LBS. 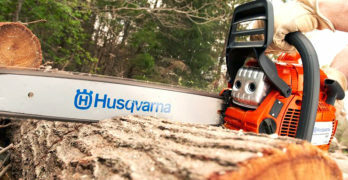 The Precision Pet Extreme Log Cabin comes with a 1-year warranty. Setup takes about 20 minutes. Make your dog happy with this gift. This is a fantastic and original dog house for smaller breeds. It measures 21” X 29” X 26”, so it’s not suitable for larger dogs. It’s one of the best looking dog houses and is made from kiln dried cedar wood that’s been treated with a natural color stain. The cool thing about this dog house is the viewing deck on the roof. Your dog needs to be able to climb the steps which are nicely spaced and at an easy angle – so I can’t see this as being a problem. A lot of attention has been paid to the detailing of this dog house, as is evident in the beautifully crafted latticework that surrounds the upper deck. Dogs love to be in small spaces. It brings them comfort. The roof and base are removable, which makes it easy to clean. Assembling it isn’t much hassle, either and it shouldn’t take you more than 20-minutes to put the dog house together after you’ve unpacked it. The door is placed dead center and I don’t see an option for a door, this means that it doesn’t offer much protection from rain and wind. Perhaps there is a door that will fit this dog house, but I don’t see one advertised anywhere. Apart from the (possible) lack of a door, this is a great dog house and gives your dog the option to bask in the fresh air with comfort. It seems that most people use it as an indoor playhouse for young dogs and puppies, rather than an outdoor shelter, which makes more sense. By the way, cats love it too. Deluxe model for your favorite dog. This is a majestic and spacious home for the VIP (Very Important Pooch). This dog house is really big (81” X 47” X 39”) and has a spacious porch surrounded by superbly crafted latticework. The Merry Products Mansion dog house displays a dedication to old-fashioned workmanship and attention to detail. The elegant, classic design is complemented by the use of Asian Fir that’s been treated with naturally colored stains. It has a window that’s protected by slats, this means great ventilation, without letting the rain or sunlight in. The floor has been raised to keep moisture out and the temperature inside comfortable. I think it would only be fair to point out that a lot of people have complained about the wood weathering, so it seems to me that the natural color stain that they use is not the best for harsh weather conditions. 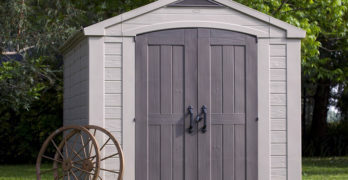 If you’re going to be exposing this dog house to a lot of rain and sun, I’d recommend sealing it with a more durable coating – polyurethane is the best, but any high-quality outdoor or marine wood treatment should do the trick. Just make sure that if you use a commercially available wood sealer, it must be non-toxic. It takes a bit more assembly than the smaller dog houses, but this isn’t too complicated – even if not really technically minded. With a bit TLC, this will be a wonderfully attractive addition to your yard and I can see most dogs making the most of its spacious interior and generous porch. It can easily accommodate two medium-sized dogs, which is great for dogs who like to sleep close to together – in my experience, that’s most dogs. There are so many extra items that you can you get to make your pet’s life much more comfortable. The expression “a dog’s life”, doesn’t have to be a negative one. You won’t find a more loyal or loving friend than your dog, so why not make his or her life as good as they deserve it to be. To keep your pet warm and comfy, pet beds and heaters can make a huge difference. Many people argue that dogs living in the wild have to cope with elements and there’s no reason why we should treat our domestic dogs any differently. This upsets me on many levels, both logically and emotionally. All members of the Canidae (dog) family live in large packs, groups of 10-20 or more. This means that when they sleep out in the open, they’re able to pile together and protect one another from the cold. They’ll arrange themselves so that the very young, old or weaker dogs sleep close to the center where it’s warmest and most protected. The stronger dogs will sleep on the outer regions where it’s coldest. A dog that’s alone, or even in a small group doesn’t have the same luxury. Small dogs, like foxes, will burrow into the ground and this offers them protection from the elements. Large dog species, like wolves, can travel for miles and are, therefore able to seek out more favorable conditions that are better suited to their survival. In a yard, your dog is forced to deal with the conditions that he or she is surrounded with. What’s most important to remember is that domestic dogs have been bred by people for thousands of years. This means that the genetic coping mechanisms that nature has provided them with have been altered by human interference. Domestic dogs simply don’t always have the same genetic advantage as wild animals do. So your dog won’t necessarily have the genetic ability to deal with the climate that they live in. On a more personal level, I feel that we take pets in as a member of our family and this means that we should provide them with the same love and attention as we do our children. Your dog deserves to be treated as a respected member of your family. We have a duty to give them the best care that we can. Besides, the unconditional love that our dogs have for us should be reciprocated in every way that we can. Internal thermostats automatically monitor the surface temperature of your pet. Ideally, we want to let our dogs lie by the fire with us when it’s cold but this isn’t always feasible – especially if you have big dogs and a small home. Even if your dog has to sleep on the porch, in the garage or in a dog house during winter, they can still have the comfort of extra warmth. The K&H Lectro-Soft heated bed is perfect for both cats and dogs who need some help keeping warm in winter. It’s a soft and comfortable heated pet bed with a built in thermostat. The K&H Lectro-Soft is designed to maintain the ideal body temperature for cats and dogs. The cover is made of luxuriously soft material and can be removed for cleaning. The 5.5 FT electric cord is wrapped in steel, so you don’t have to worry about your dog chewing through it. The K&H Lectro-Soft comes in several sizes that will fit into all types of dog houses. It’s manufactured to the highest standards, is perfectly safe and comes with a 1-year warranty. This dog resting pad has a sensitive internal thermostat that automatically monitors the surface temperature to keep your dog or cat warm and comfortable. This will warm to your pet’s normal body temperature of 102°F whenever it lies down on the pad. You may not think it’s that impressive but your pet will. Oh, if pets could talk. Even dogs and cats who sleep indoors can have the comfort of their own bed and there are many options for these. They are attractive to have in the home and give your pet a soft comfortable place lie. Ultra-cozy. Anti-skid base means it will stay in place. PLUSH PET TENT: We’ve designed these tent houses for dogs and cats using faux suede, linen or corduroy and each comes with soft poly-foam lining. GREAT INDOOR LOOK: The timeless style of our tan plush pet beds allows them to seamlessly blend into any décor. COZY HOUSE: The dimension of this indoor tent gives your pet a touch of privacy and creates a nice sense of security. 18 x 18 x 16 inches. The plush and luxurious design of this pet bed is fantastic for all pets. The tent enclosure is something that cats, in particular, will love. It provides your dog with a place of his or her own and they can curl up snugly on the ultra-soft base, surrounded by the feel of Faux-suede or corduroy. The base is removable, making it easy to wash. The Best Pet tents come in a variety of attractive colors and luxurious finishes. They also come in a range of sizes from medium to extra-large, up to 19” X 19” 19”. Not only do they look great and are extremely comfortable, but they are extremely durable too. Ideal for small dogs or cats. An adorably cute design that resembles a soft and cuddly dog house. The size of 16” X 16” X14” is suitable for small dogs and puppies. The Best pet indoor pet house/bed is made from ultra-soft polyfoam and is covered in a durable fabric that’s easy to clean. The soft base is removable and the entire dog house unit is machine washable. It’s light and easy to transport, ideal for dogs who travel. There are a lot of factors to consider when it comes to choosing the best dog house for your faithful hound. Before you even consider things like materials or design, you need to make sure that you’re getting the correct size dog house. All the luxury extras in the world will mean nothing if your dog can’t fit comfortably inside. When choosing the right size dog house, you need to make sure that it’s big enough for your dog to stand and turn around inside. The construction material can make the world of difference. Traditionally, wooden dog houses are the best because they are great at controlling the temperature, plastic and steel dog houses can be extremely hot in summer and bitterly cold in winter. The thickness and type of the wood is also important – thicker, denser wood is going to offer better insulation. Gaps in the wooden slats are going to let cold air blow through and will make the dog house drafty in bad weather – tongue in groove wood provides the best way to prevent drafts. Many people prefer wood for its natural appearance that looks better in the yard. While wooden dog houses are the most preferred, there are some modern synthetic materials that offer better insulation and don’t have the same maintenance issues as wood. If you’re buying a dog house made of a synthetic material, do some research into its insulation properties. A thicker material is always better. A foam type plastic is best because the air trapped inside the material offers protection against both hot and cold conditions. When it comes to the actual design of your dog house, you need to look beyond just the aesthetic appeal of the structure. There are a number of design features that will make your dog’s life a lot more pleasant. The position of the door can make a big difference in cold weather. If the door is in the center of the dog house, your dog has no protection from the wind when it blows from the front. It’s usually best to get a dog house with an off-center door or one that offers some form of protection from the wind. Many dog houses come with optional doors, which is more like a plastic flap that keeps the wind out, whilst still allowing your dog to pass through it unhindered. A raised floor is usually the best because it helps regulate the temperature inside the dog house and it keeps pests out. Vents that open and close are also great at controlling the temperature inside the dog house. Then there are many extras that you can consider like heated mats for winter and you even get air conditioned dog houses for ultimate in canine luxury in hot climates. Finally, you should look out for toxic materials. Even if your dog doesn’t chew on the walls of his dog house (they often do), some paints and sealers emit toxic fumes. If you’re buying your dog house from a reputable manufacturer, you can be sure that they have taken care not to use toxic materials. Though, if you’re going to paint or reseal your dog house, make sure that you’re not using a toxic substance. If it’s rated as being safe for children, it will be safe for your dog too.